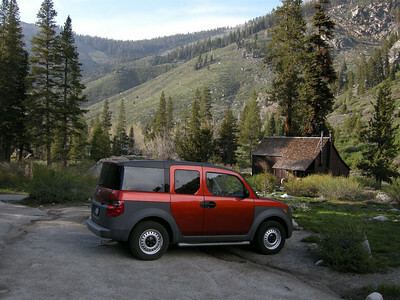 The Element in its, ahem, element: the upper end of the Mineral King road, parked where the old road-end store used to be. 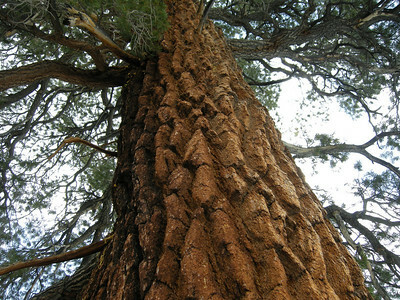 Timber Gap in background. 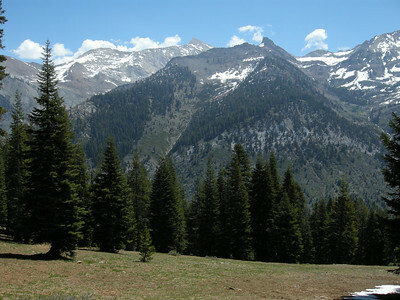 Looking south to Farewell Gap from Eagle Lake trailhead. 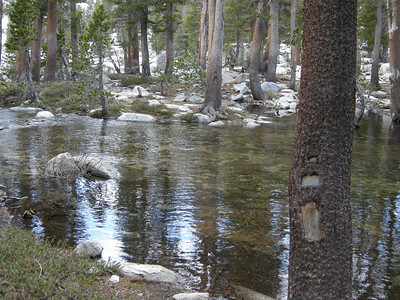 East Fork Kaweah River, near Eagle Lakes trailhead; river was flowing cold, full, and fast! Farewell Gap (overexposed) in distance. MK Pack Station, waiting for summer. 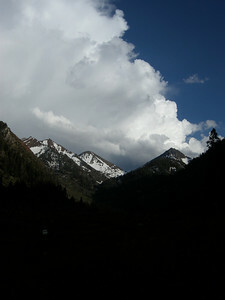 Late-afternoon clouds; towering thunderhead were to east. Road by Faculty Flat was wet, so rain had fallen earlier. 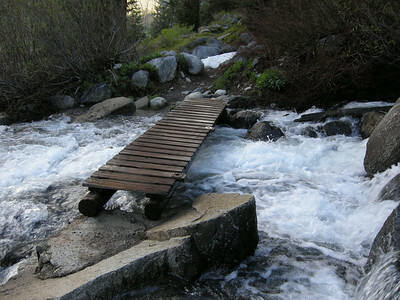 Bridge over stream near Tufa Falls on Eagle Lake trail. 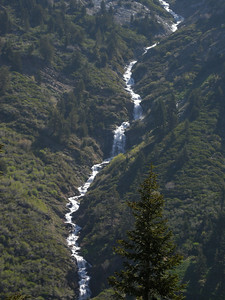 Cascade coming down from Tufa Falls. Noisy! 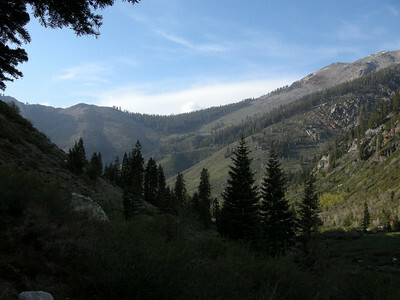 Looking north to Timber Gap, from near Eagle Lake trailhead. 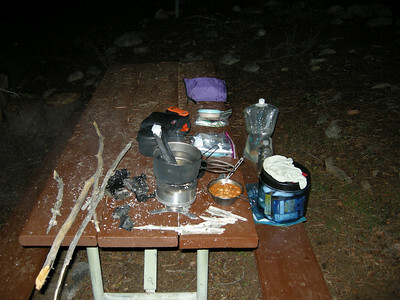 Cooking dinner at walk-in campsite #38, Cold Springs campground. Sticks and charcoal are fuel for stove. Punjabi Choli and tuna, mmmmm! 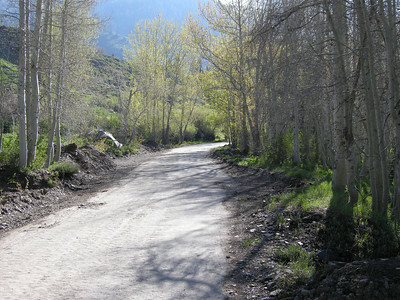 Strolling up the final mile of the MK road, looking east. 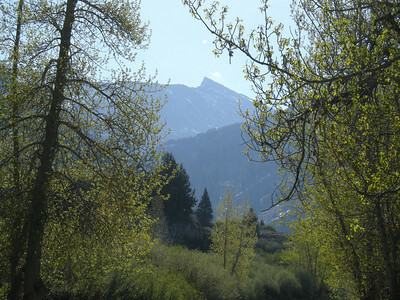 Sawtooth Peak to the east of MK valley. 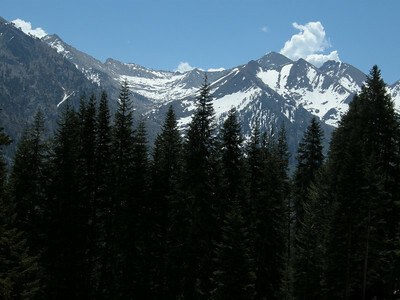 The hike to the top (12,343 feet) is just short of a 5000 feet elevation gain from this point. 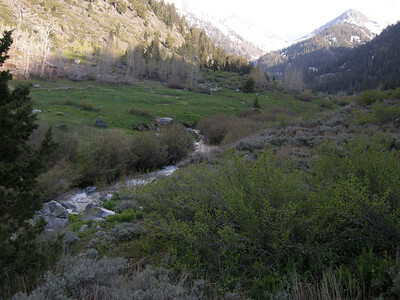 East Fork Kaweah River, with lots of snow-melt. 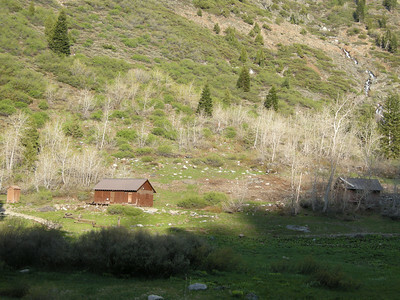 View is to southeast, from road. 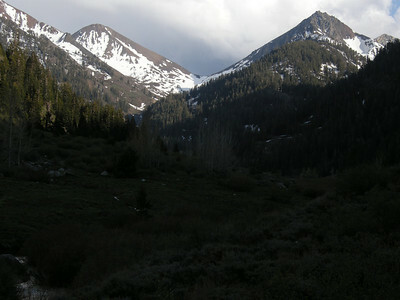 Looking south to Farewell Gap, from just south of the Eagle Lake trailhead. Brrr! 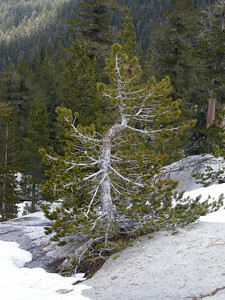 Winter had not yet finished its retreat from the higher elevations. 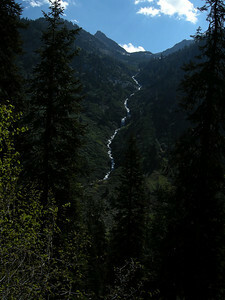 This photo and the following two are of Crystal Creek descending from Crystal Lakes, as seen when looking east from the Eagle Lake trail. 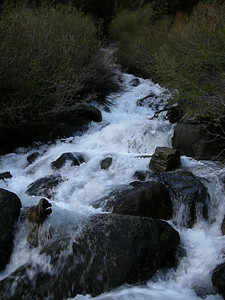 A closer view of Crystal Creek. It was really booming quite audibly from this distance. 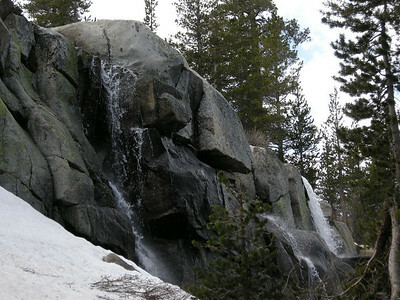 Telephoto shot of Crystal Creek falls, which had quite-visible spray garlands. 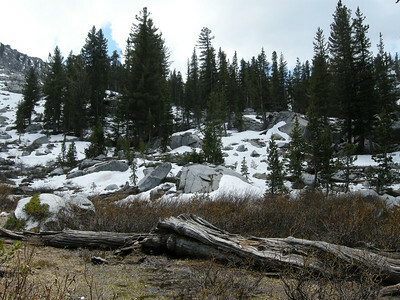 Looking back to north towards Timber Gap, from middle section of Eagle Lake trail after it forks off from the White Chief trail. 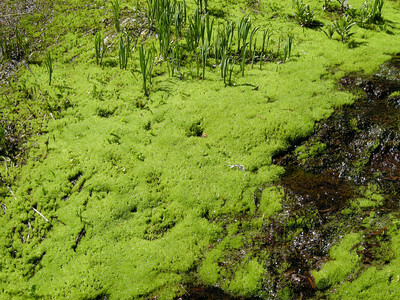 Moist and plush moss with sprouting plants, alongside the trail. 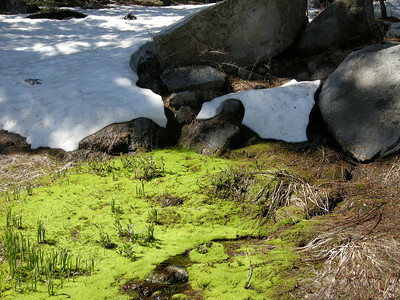 This photo shows how recently the rapidly-dwindling snow had melted back from the moss and sprouting greenery. 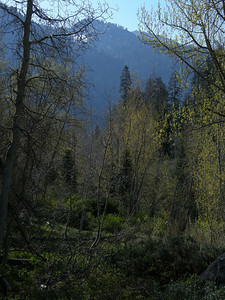 View to west towards vicinity of Eagle Lake, near the junction with the Mosquito Lakes trail. 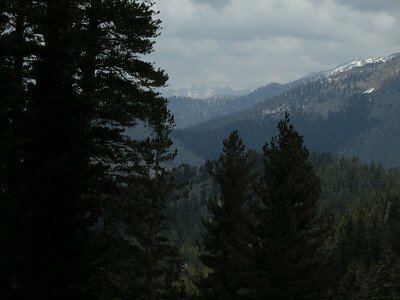 Looking southeast towards Franklin Creek drainage area. 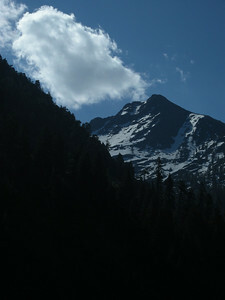 Looking east. 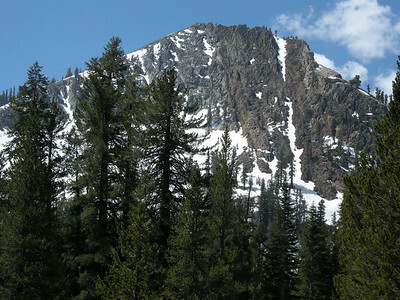 The lighter-colored peak is Sawtooth; the darker pinnacle to the right is Mineral Peak. 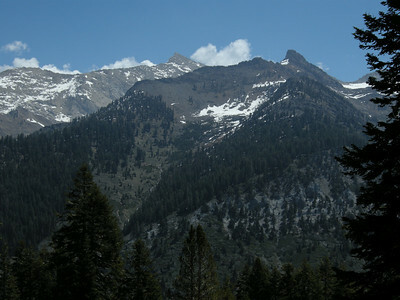 Sawtooth Peak and Mineral Peak, with Crystal Lakes drainage on right, taken from unforested spot near saddle crest of Miner's Ridge. 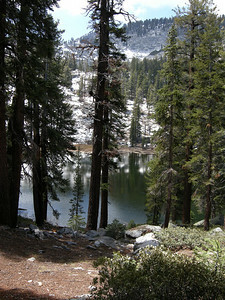 Looking down from the north shore area of the lowest Mosquito Lake. 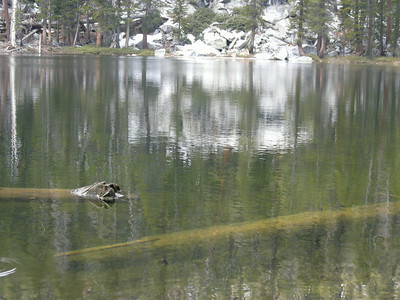 Camping is not allowed next to the lake, but there are some legal sites about 1/4 mile away. 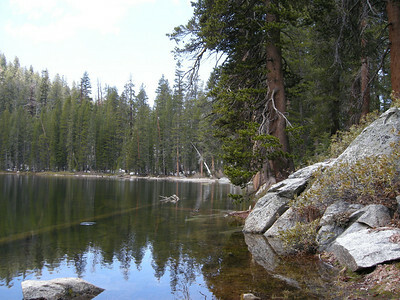 Mosquito Lake #1, from north side looking south. Looking west, on north shore of Mosquito Lake #1. It was a very calm day and there was little wind. 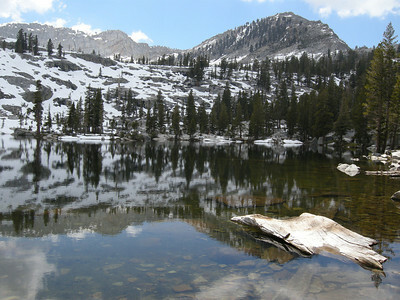 I decided to walk around the east side of Lake #1 and then ascend the south side of its bowl. 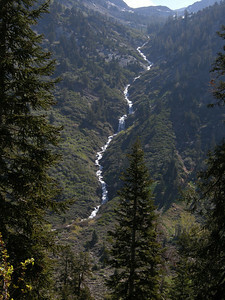 This view looks north. 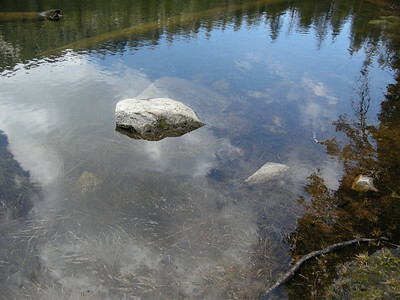 Water was bubbling up from the flat ground at this spot; a still photograph does not do it justice. 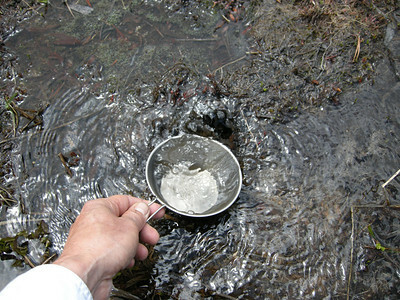 Damn good water - and cold! 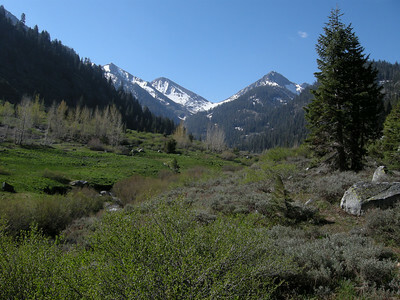 Looking south up the Mosquito Lakes drainage, from the vicinity of the small pond at about 9800 feet shown on the 7.5 quad. Everything was very soggy. 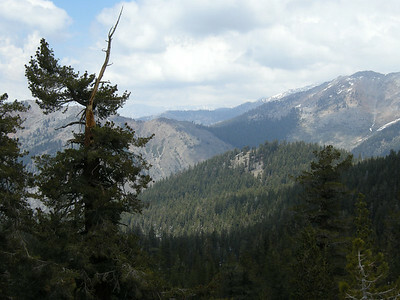 Looking north, Timber Gap in distance. 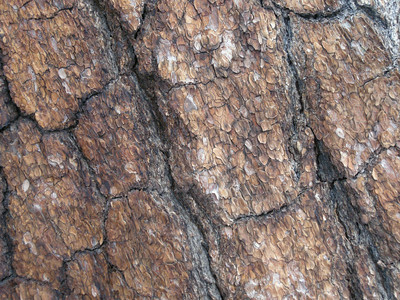 Looking up the trunk of the subject in the previous photo. 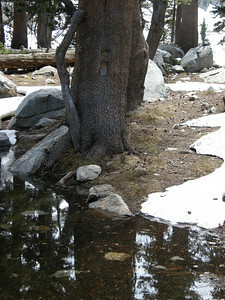 Here's what the trail looked like just below Lake #2; notice trail blaze on tree. 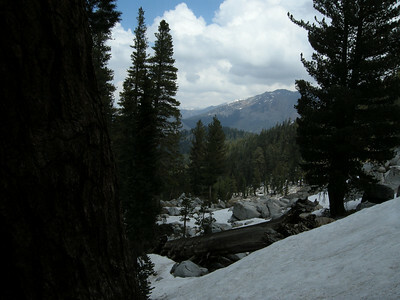 Trail is to the right side of photo, covered in water and then partially obscured by snow. 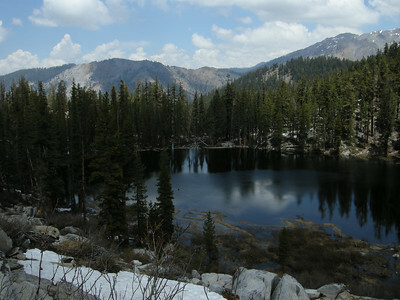 Mosquito Lake #2 (WL 9586T on topo), looking to southwest. Calm day. 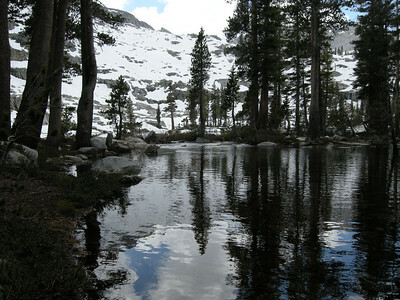 Looking south, Lake #2, with lake outlet in middleground. 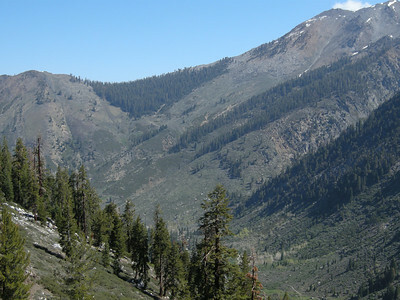 Looking north, Timber Gap visible. 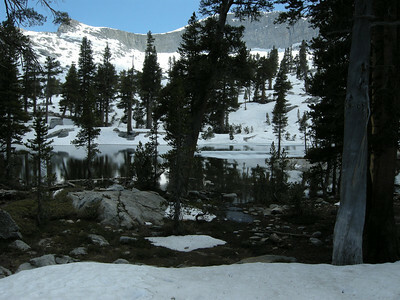 Small Lake #3, still mostly snowbound, looking south. 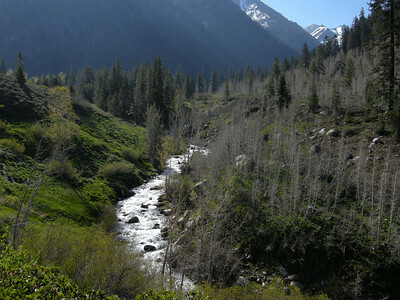 Elevation here is about 9900 feet ASL.